The EWEA OFFSHORE conference is the leading-edge, international conference for the offshore wind industry. Get advanced learning, hear about important industry trends and network with your peers, potential clients and collaborators. Access the full conference proceedings including presentations, full papers, video and audio recordings (applicable to 3-day conference delegates). TurbinesWhich turbine technologies will bring costs down by 2020? Science & ResearchSavings from science: how will science & research continue to lower costs after 2020? Supply ChainWhere in the supply chain and operations & maintenance can cost reductions be found? Resource AssessmentHow can better resource assessment make offshore wind farm development cheaper? MarketsMarket updates: what are the prospects for Europe & North America and how can companies enter Asia? Health & SafetyWhat can be done to make health and safety more effective? Spatial PlanningHow can the industry improve spatial planning and reduce environmental impacts? GridsBringing the power to the people: what grid development is needed to deliver wind energy to consumers? FinanceWhat are the costs and what does the industry need to do to secure finance? A full three-day conference delegate pass includes free access to the online conference proceedings website. 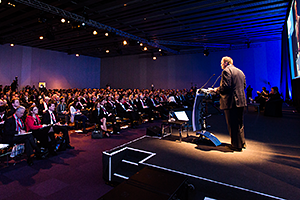 EWEA members are also entitled to a free access to EWEA events proceedings. For everyone else, conference proceedings are available at a fee as from 17 March 2015. Fill in this booking form to order your proceedings.